During the Howard College Board of Trustees Meeting, held November 5th, 2018, Luke Settles was able to receive a scholarship granted to him 17 years ago. Luke, a 1st year Howard College student, attended the meeting with his Grandmother, Sharon Settles. Vice Chairman, Maxwell Barr, presented Luke with a T-Shirt and Chocolate and the board was able to discuss what the scholarship meant to Luke. Luke shared, “Like most families, we had hardships we go through, so even in uncertain times it was nice to know I had an option academically”. Dr. Sparks shared in 1997 the American Association of Community Colleges requested that each community college select one event to spotlight their institution as part of the nationwide recognition of April as community college month. Howard College established a scholarship recognizing the first baby born in April. The intent was to provide an incentive for that child to plan to attend college. 17 years later, Luke is now attending Howard College using that scholarship. I was able to catch Luke on campus and discuss his educational goals and the scholarship a little further. He talked briefly about growing up in Forsan. As many of us remember, the early boyhood years of running around town exploring local places and hanging out with friends, his early childhood sounds reminiscent of traditional Americana. He really didn’t put too much thought into the Scholarship until around High School. He just kind of knew it was there in the back of his mind. 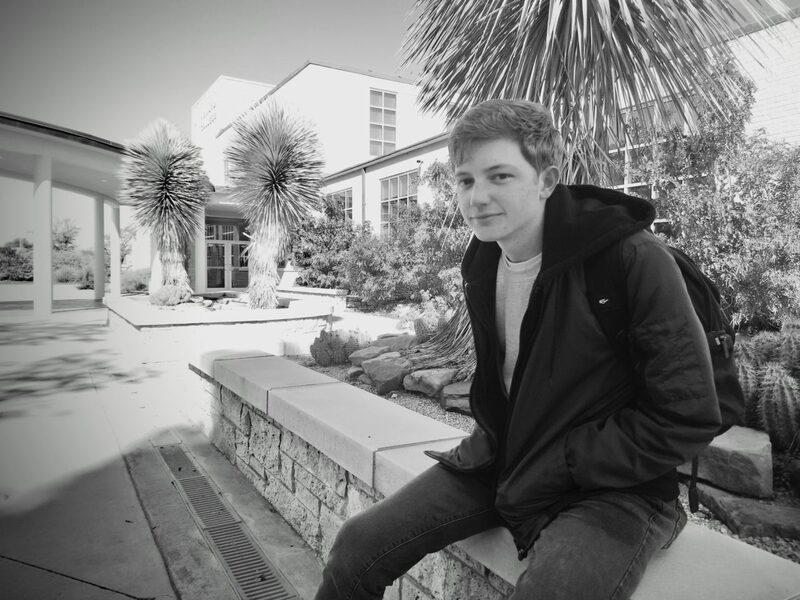 After completing his Sophomore year at Forsan he moved to San Antonio where he was able to graduate a year early through homeschooling. He remembers thinking ” I know I’ll be going to Howard College” at least to obtain his Associate’s degree. Luke is majoring in General Studies and has tentative plans to continue his education at Texas A&M in College Station. He is interested in biology or natural sciences but for the moment is blissfully enjoying a semester of not having to commit to a major yet. He attributes his interest in this area somewhat to his childhood memories of exploring his hometown with friends. Luke lives in the dorms at Howard College on the Big Spring campus and can sometimes be found riding around on his longboard, a self-described “lame version of a skateboard” which he claims to be more of a mode of transportation than a recreational activity. Thanks, Luke, for your time and we wish you much success in the future. Until then, we’ll see you around campus.